NFPA delivers information and knowledge through more than 300 consensus codes and standards, research, training, education, outreach and advocacy; and by partnering with others who share an interest in furthering our mission. Our mission is to help save lives and reduce loss with information, knowledge and passion. NFPA is widely known as a codes and standards organization – that’s the backbone of what we do, and it always will be. Our mission is to provide you with the information and knowledge you need to do your job well in today’s ever-changing environment. Our 300 codes and standards are designed to minimize the risk and effects of fire by establishing criteria for building, processing, design, service, and installation around the world. The more than 250 technical committees, comprised of approximately 9,000 volunteers, review public inputs and vote on the revisions in a process that is accredited by the American National Standards Institute. 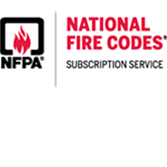 NFPA provides free online access to its codes and standards. As part of NFPA’s mission to eliminate death, injury, property and economic loss from fire, electrical and other hazards, NFPA develops easy-to-use educational programs, tools, and resources for all ages and audiences. Fire Prevention Week is an annual campaign that addresses a specific fire safety theme. Learn Not to Burn® addresses the leading causes of injuries and death among children. Remembering When® addresses the leading causes of injuries and death among older adults. Sparky the Fire Dog® is the official mascot of NFPA. Our Fire Sprinkler Initiative encourages the use of home fire sprinklers through increased awareness and adoption of local ordinances or model codes. Our Firewise Communities program encourages local solutions for wildfire safety by involving homeowners, community leaders, planners, developers, firefighters, and others in the effort to protect people and property from wildfire risks. NFPA training includes a variety of convenient ways to access codes and standards training and earn CEUs. Choose from classroom training, online training, on-site training, conferences and certification. Our seminars provide insight into the meaning, intent, and proper application of fire and electrical safety codes. The annual NFPA Conference & Expo fosters the exchange of ideas among Association members. New and revised NFPA codes and standards are also discussed and voted upon at these meetings. NFPA is the premier resource for fire data analysis, research, and analysis. This helps guide educational outreach, supports the work of NFPA Technical Committees, and frames the fire-loss picture for organizations, the media, and the general public. The Research, Data and Analytics division produces a wide range of annual reports and special studies on all aspects of the nation's fire problem. NFPA conducts investigations of fire incidents of technical interest to its constituents, including its Technical Committees and the broader fire community. The Fire Protection Research Foundation plans, manages, and communicates research in support of the development of NFPA's codes and standards and educational and public-awareness efforts. The Charles S. Morgan Library supports research and maintains the NFPA archives. It is one of the largest fire science libraries in the world. 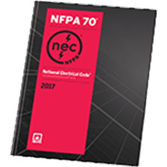 NFPA membership is the easiest way to stay up-to-date. Membership helps you make the right decisions on the job by giving you the latest news and information, professional connections, and access to NFPA staff who can answer your technical standards questions. Members are invited to maximize their benefits by joining one or more of our 12 industry-specific Member Sections. Section membership is free and included with your NFPA membership. NFPA Journal®, our members-only bimonthly magazine, covers industry news. NFPA Journal® Buyers' Guide lists products and services from leading fire protection and fire service manufacturers and consultants. NFPA Journal® Latinoamericano is the #1 source of fire, security, and life safety information in Latin America.  See a full list of NFPA's publications. History of NFPA An overview on the founding and growth of NFPA.